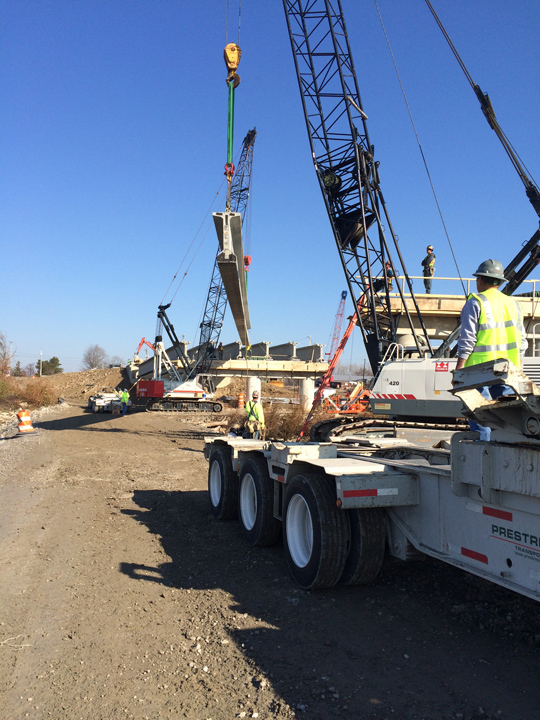 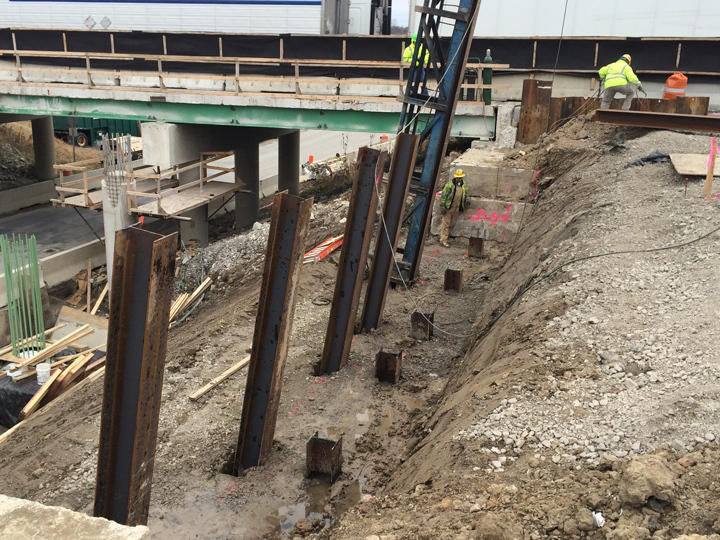 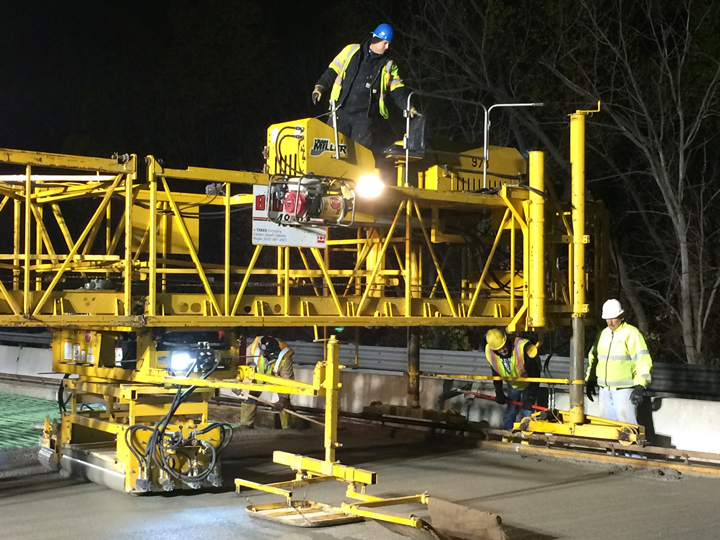 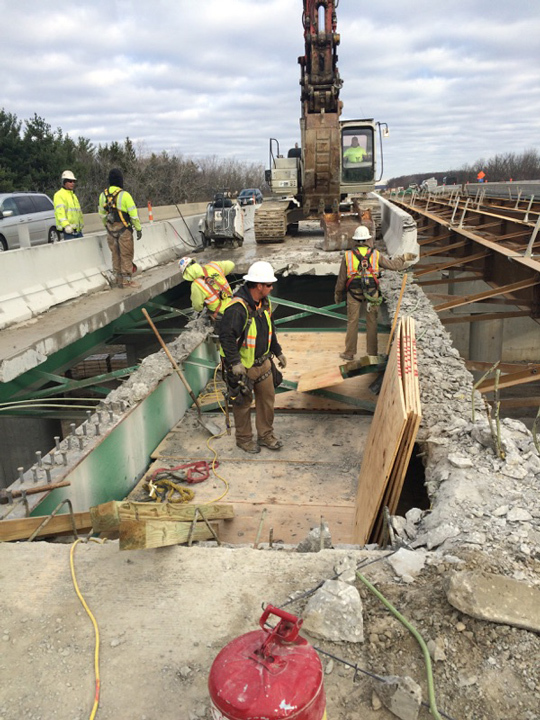 When it comes to completing fast-track public infrastructure projects safely, on-time and on-budget, Miller Bros. 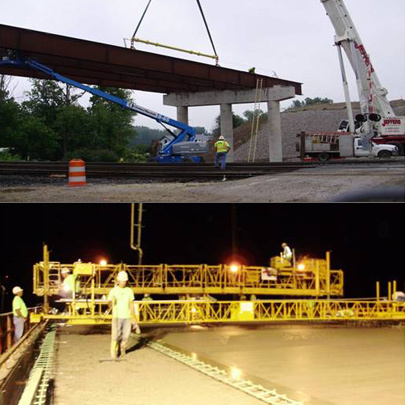 Const., Inc. is one of the best in the business. 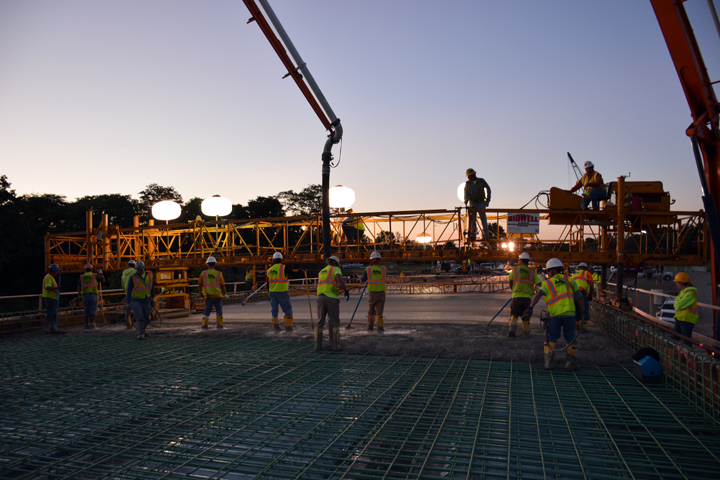 Our fleet of advanced technology equipment, highly-trained workforce and extensive experience make us a valuable partner. 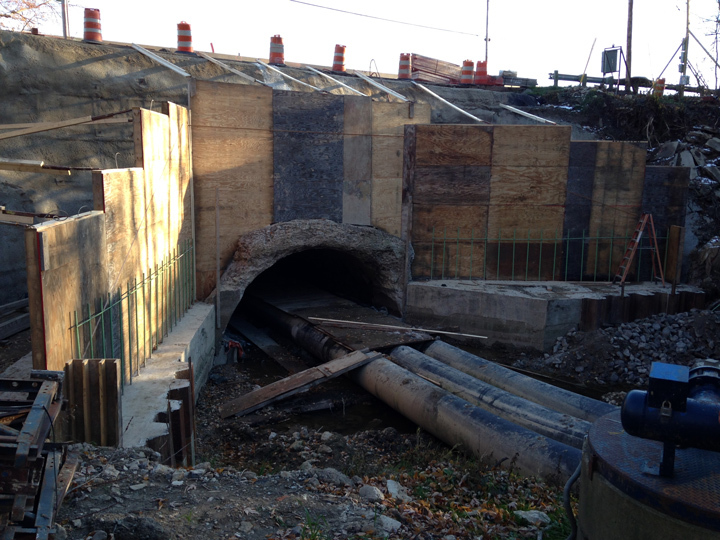 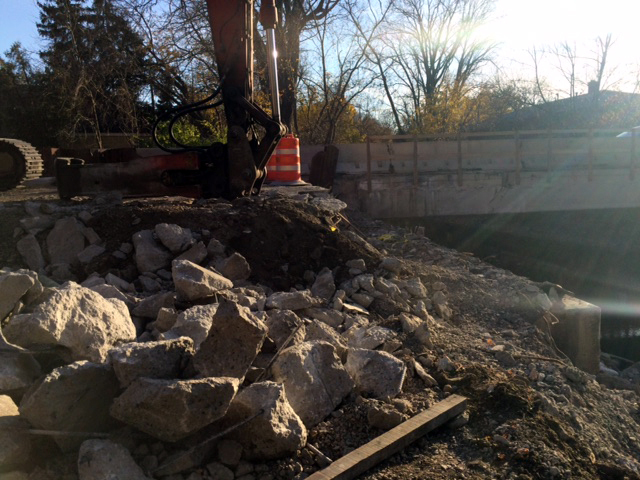 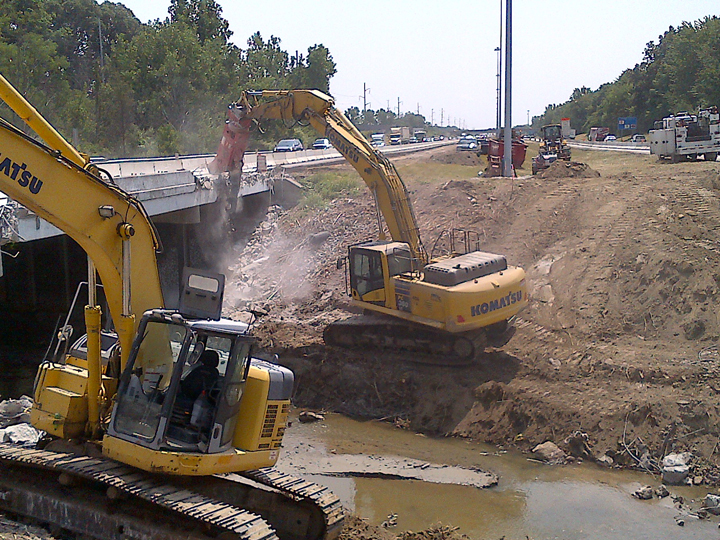 With public infrastructure projects, safety matters long after our crews leave the site. 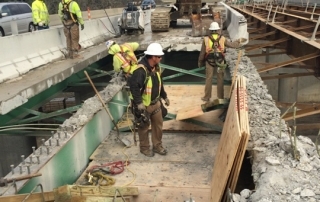 Excellent detail management and craftsmanship are always important, but never more so than when we are entrusted with the roadways and bridges community members count on every day. 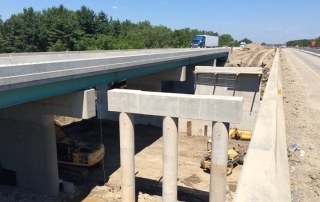 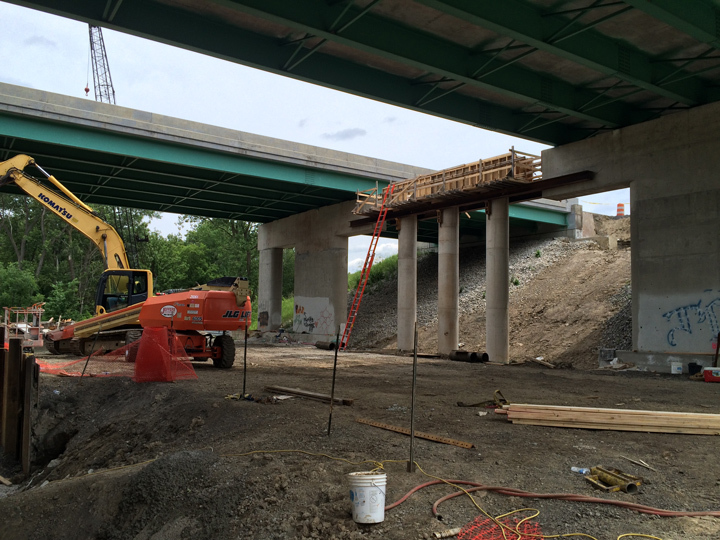 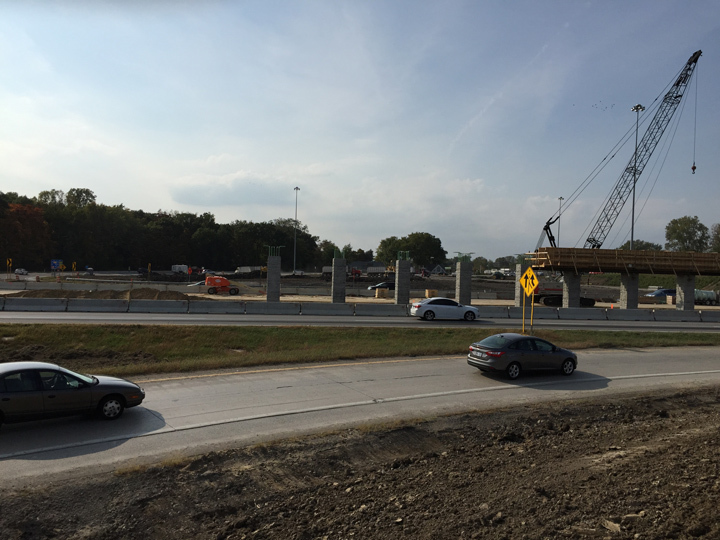 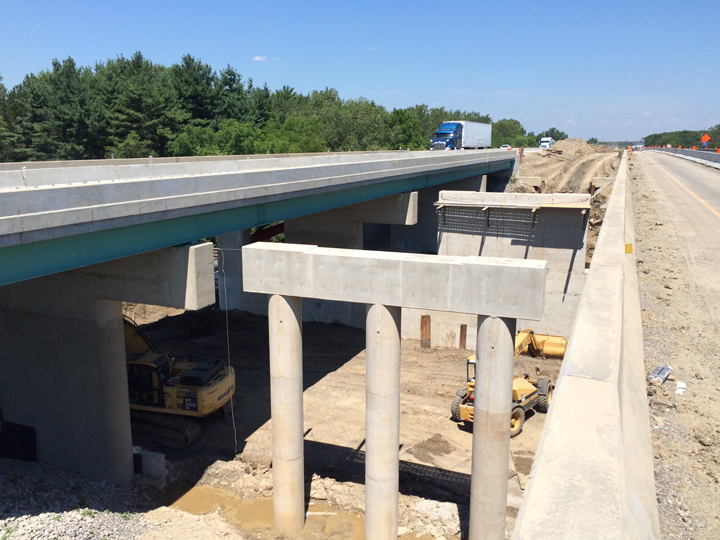 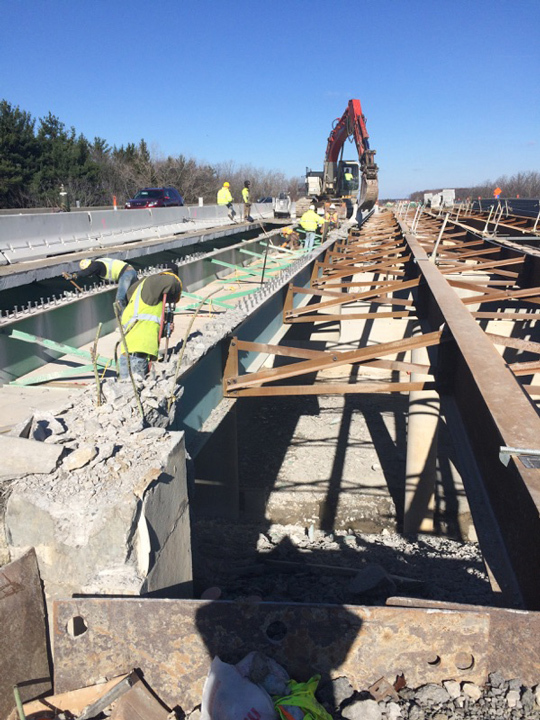 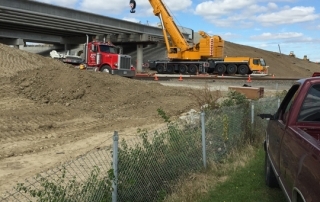 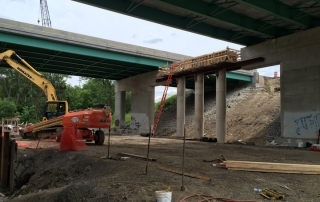 ODOT selected MBC to design/build this project, which included widening I-75 from two lanes to three, as well as rehab and replacement of structures over the Norfolk Southern Railroad, Eagleville Road and two locations over Rocky Ford Creek. 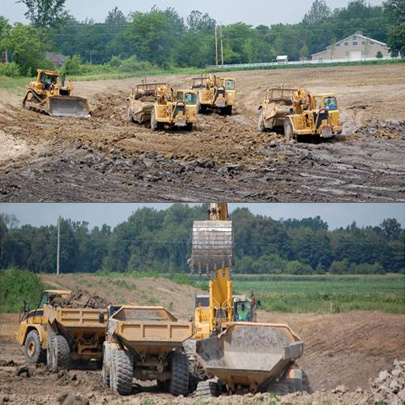 Soil stabilization presented various challenges due to differing soil types and conditions. 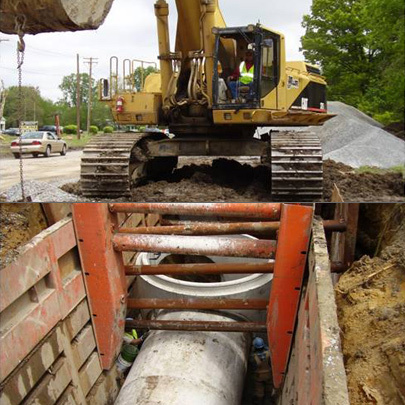 MBC lead communication and planning efforts with both the owner and subcontractor to find cost effective solutions that prevented delays. 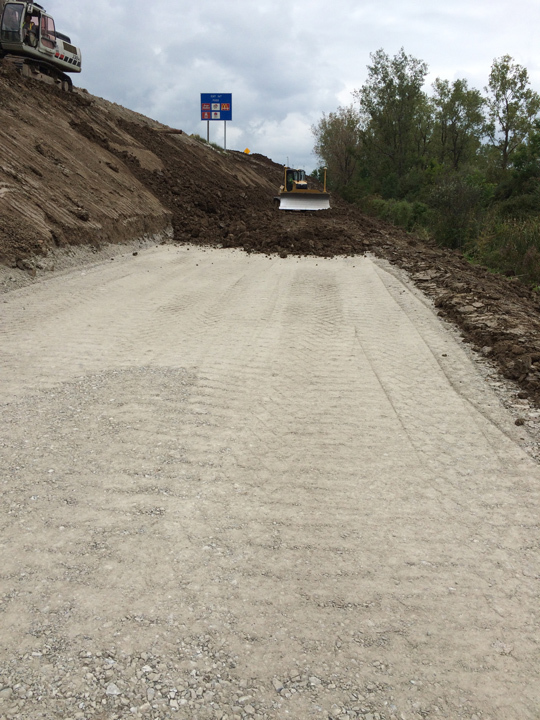 This project required several 90-day and 120-day closures of various side roads and on/off ramps. 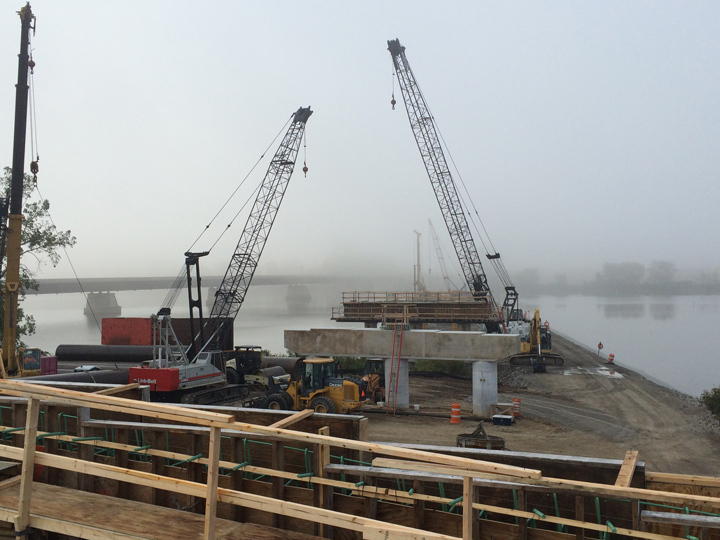 Due to excellent planning and scheduling, all closures opened on-time or ahead of schedule. 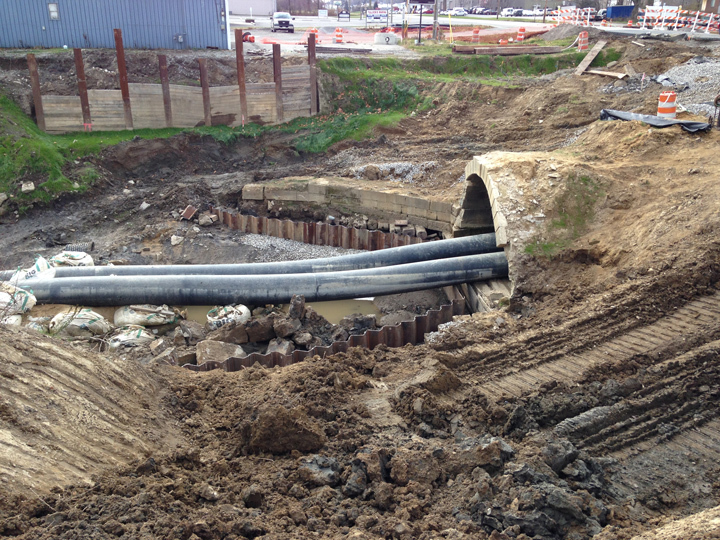 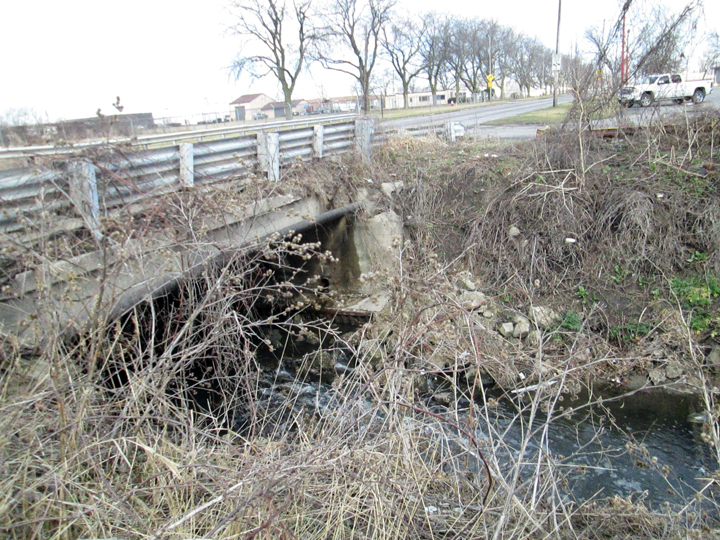 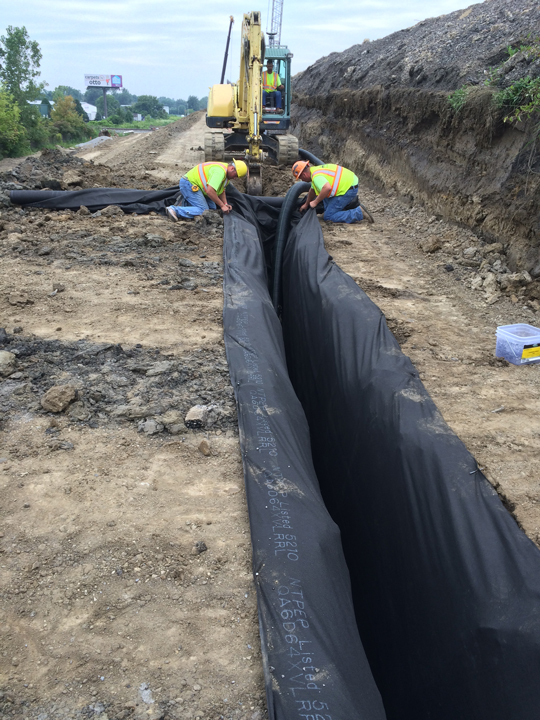 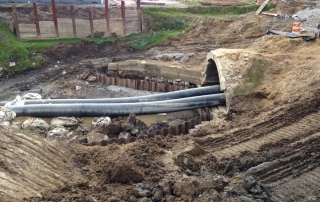 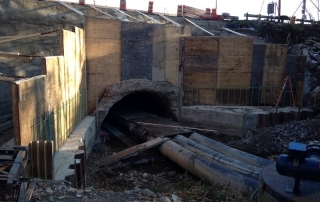 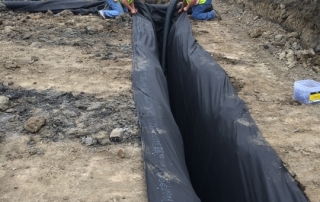 MBC presented a value engineering proposal to use an alternate underdrain installation when repairing the existing embankment, which provided a cost savings on the project. 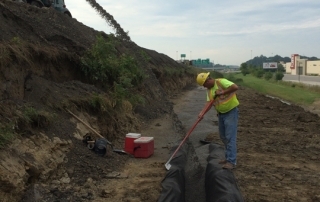 This was the first time the specific installation method was used in the state of Ohio. 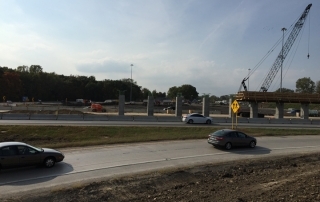 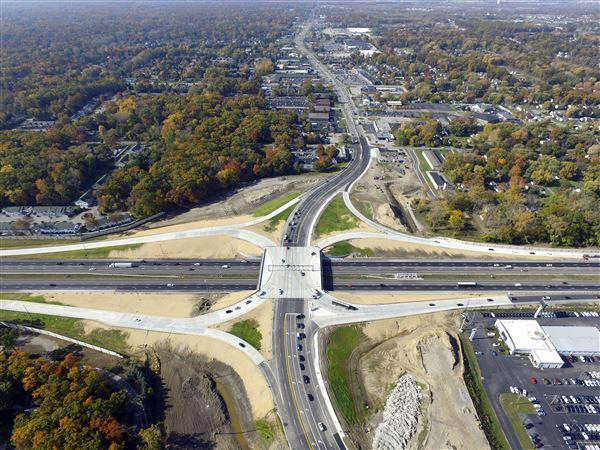 The original interchange was one of the busiest in the Toledo area, making traffic flow a high priority on this project. 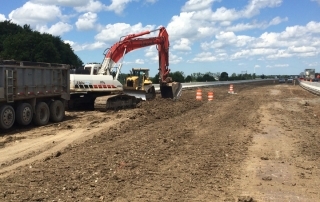 With the requirement of building the new interchange within the existing infields of the current on/off ramps, importing embankment while maintaining traffic flow was a big challenge. 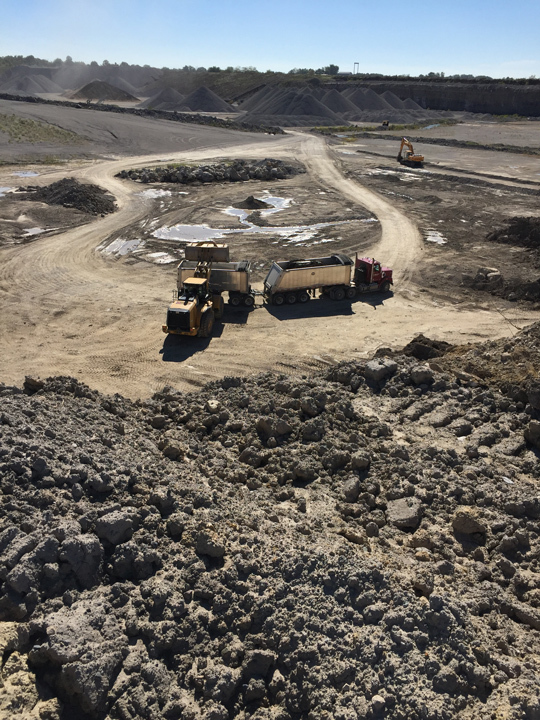 Field crews and project managers worked together to import and place approximately 150,000 cy of material within a 10-week window. 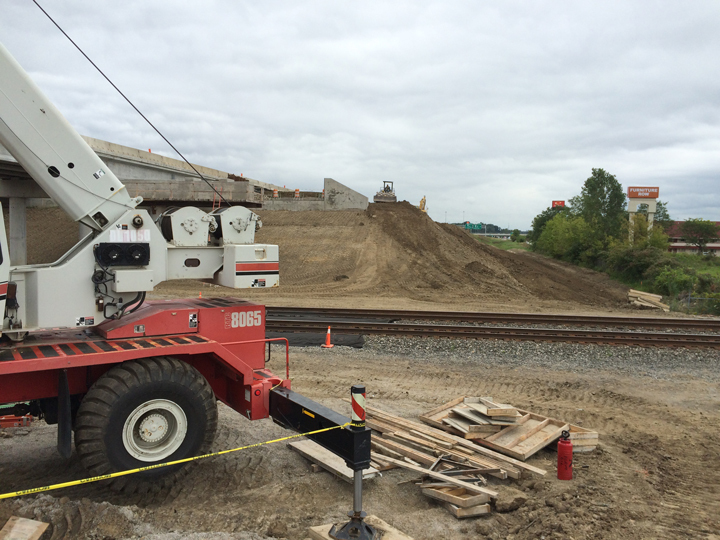 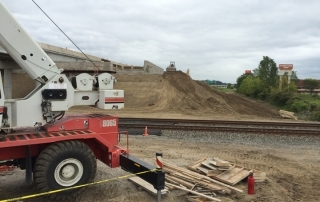 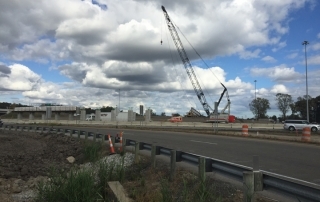 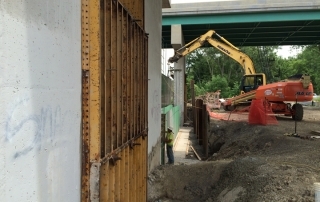 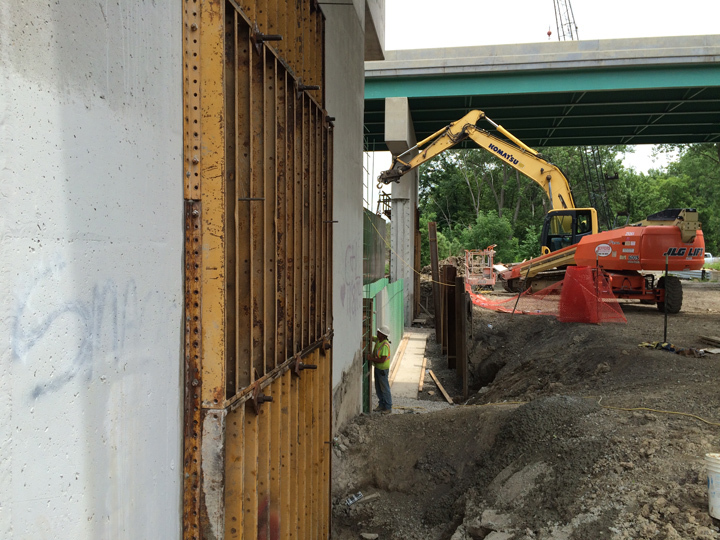 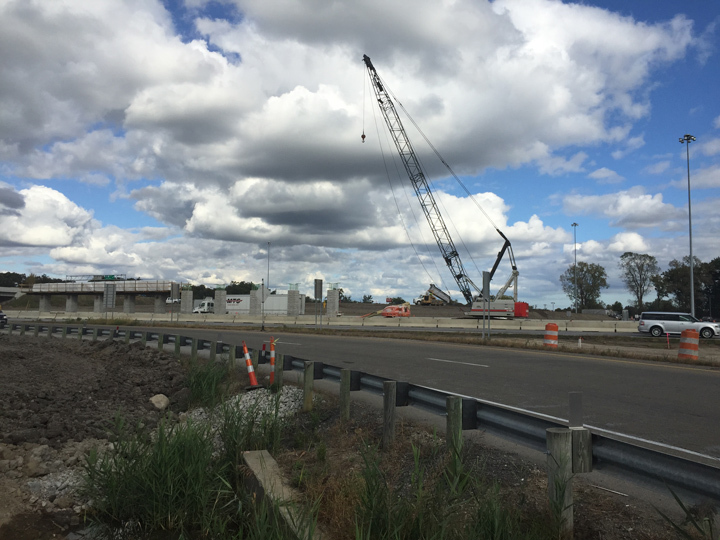 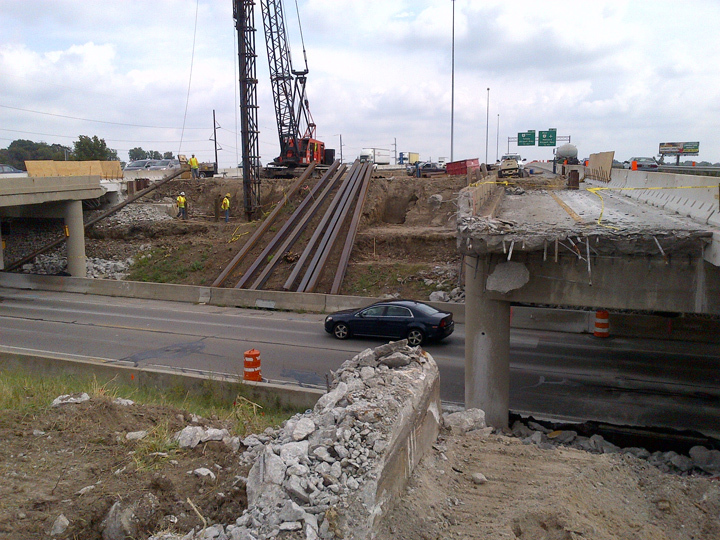 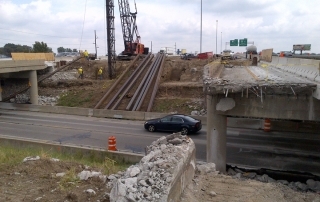 This kept the project on schedule, despite an ODOT delay that pushed back the project’s start date by three weeks. 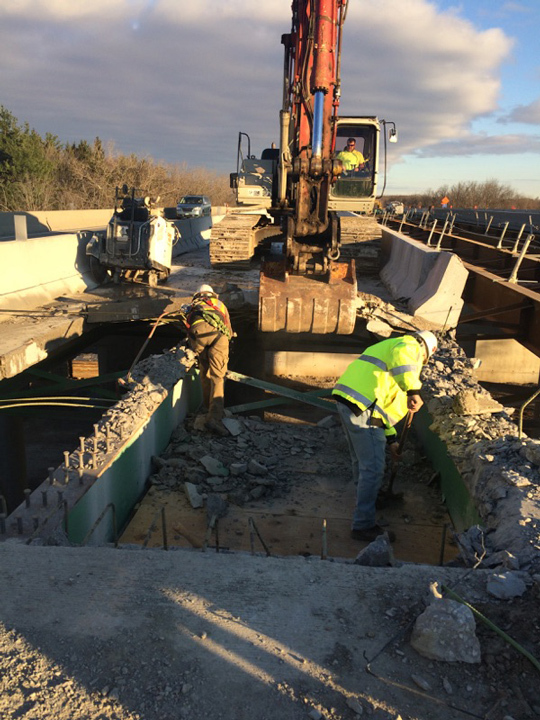 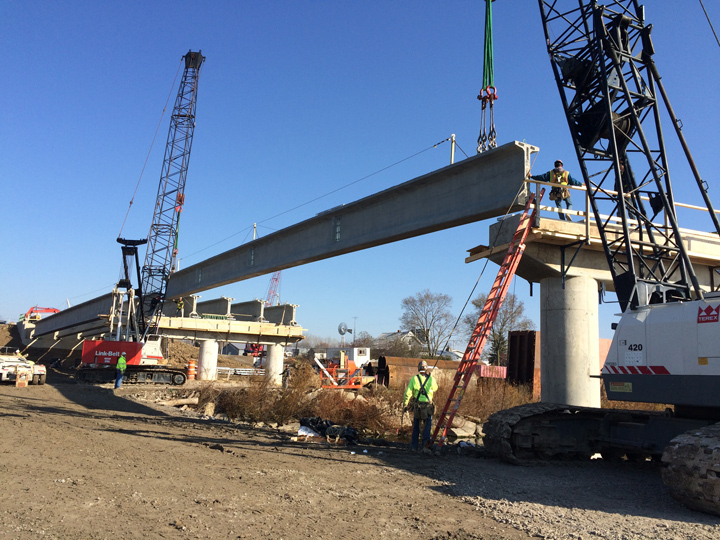 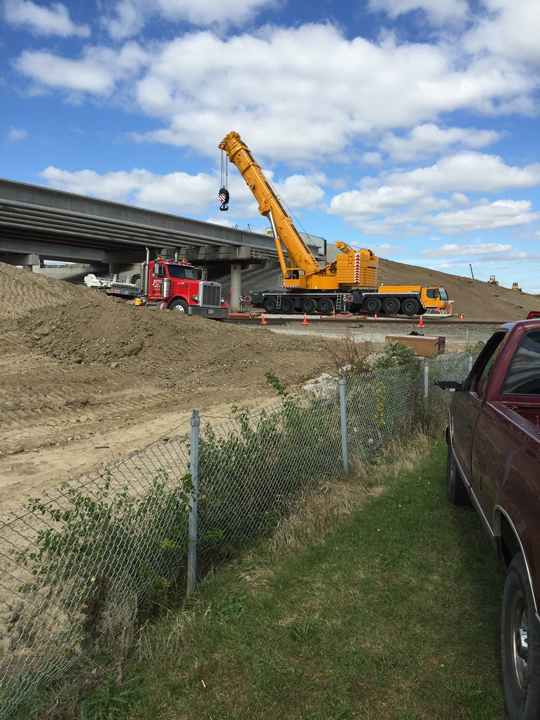 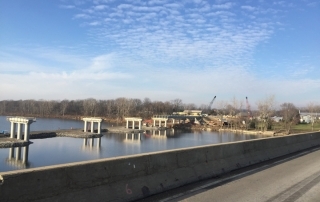 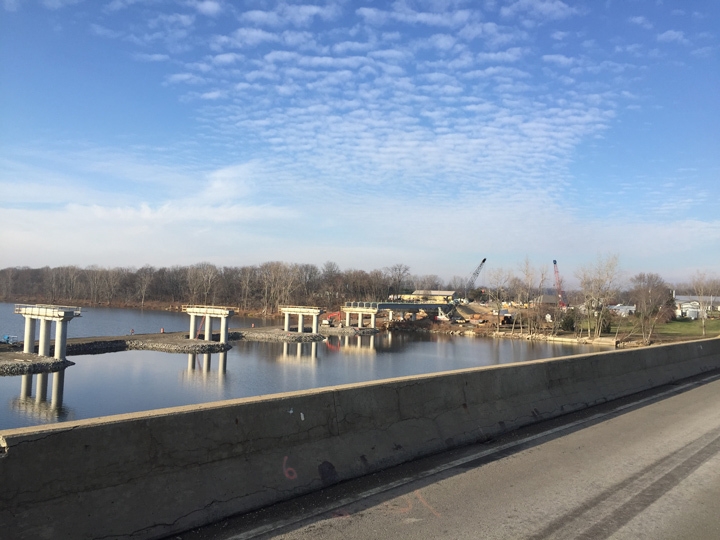 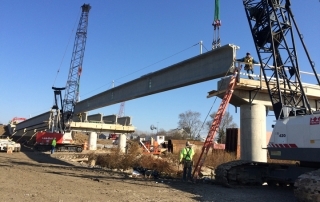 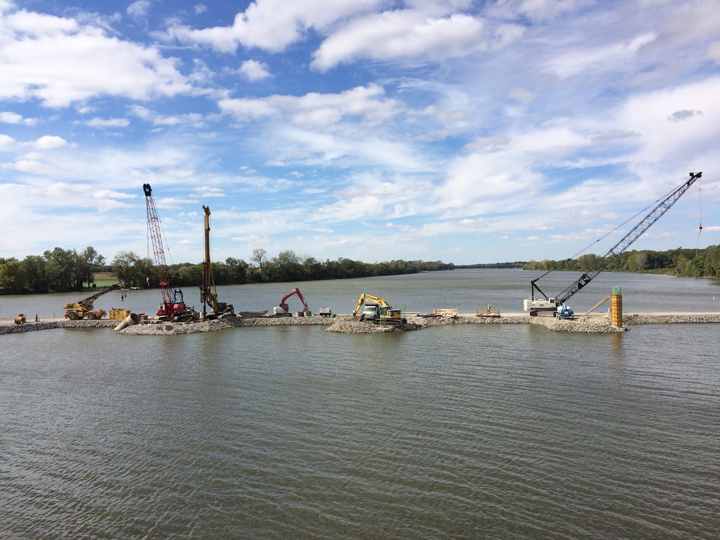 Crews removed the existing bridge and roadway, constructing a new 12-span, prestressed bridge on new alignment over the Maumee River. 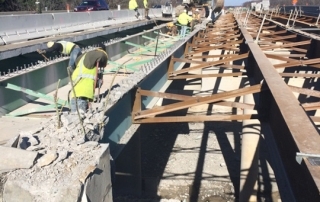 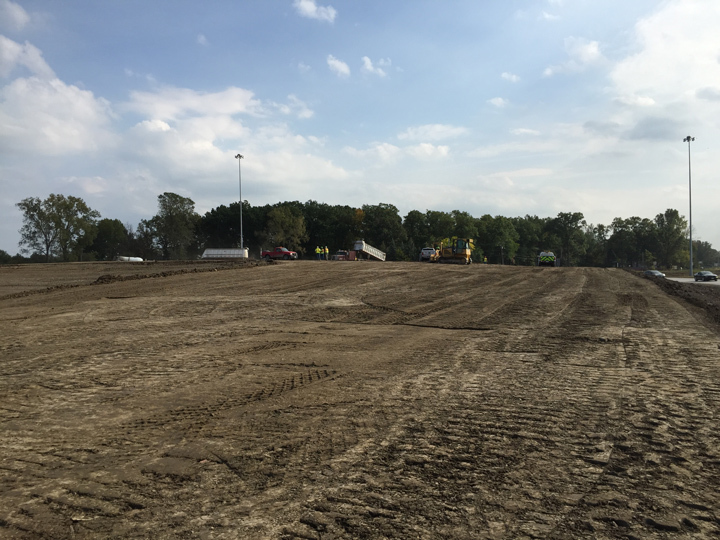 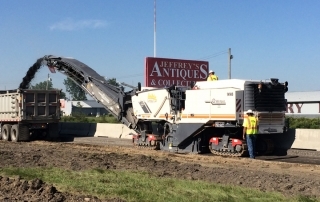 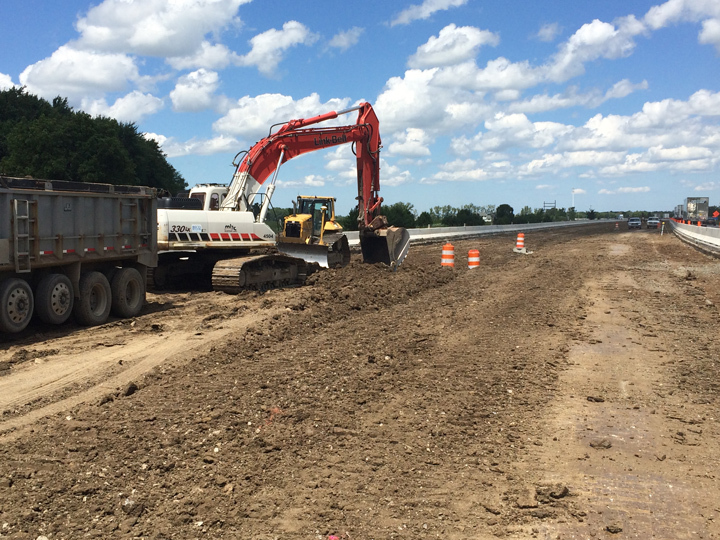 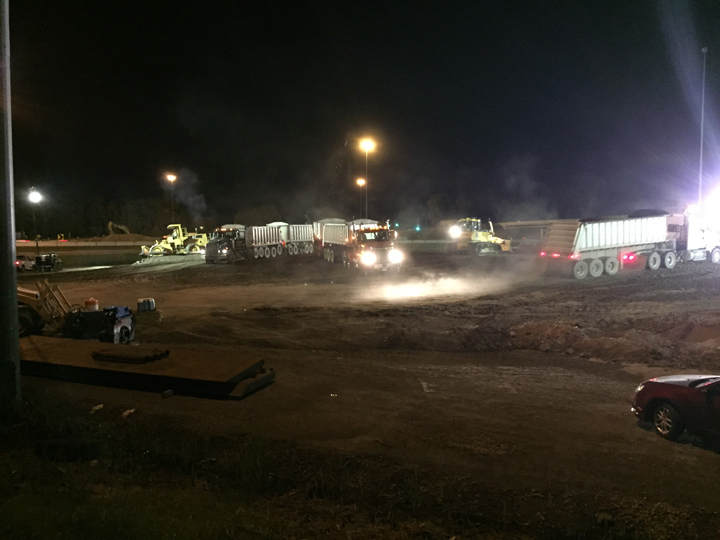 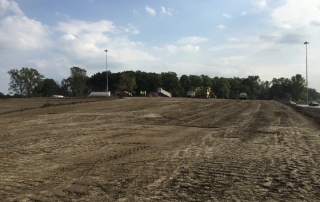 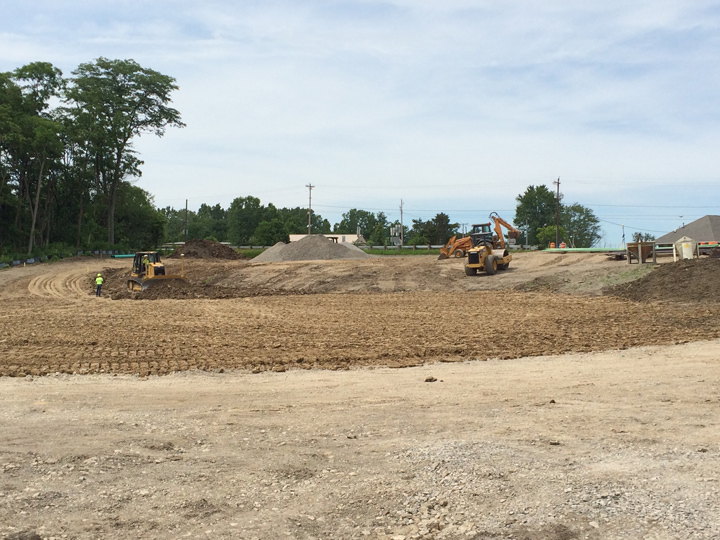 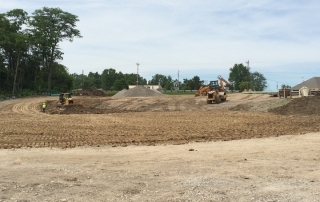 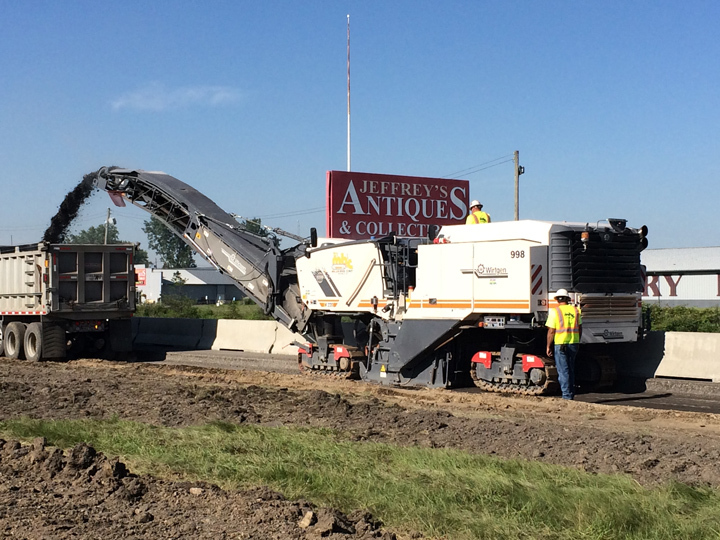 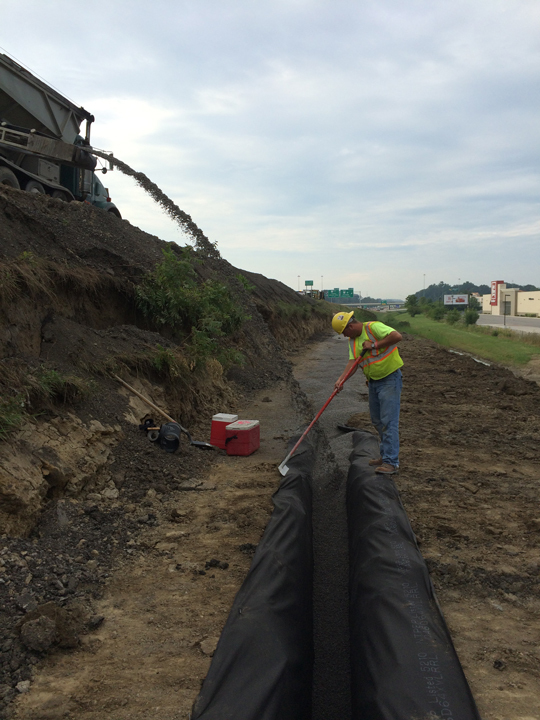 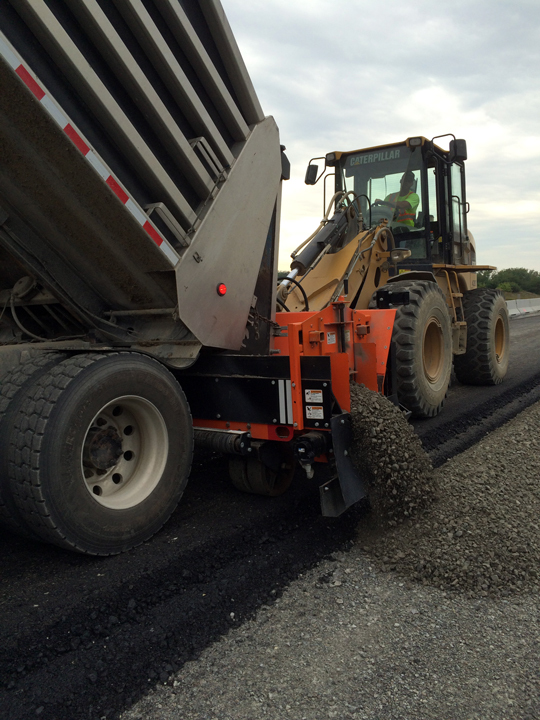 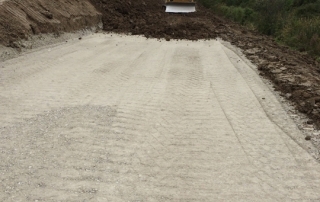 The experienced team at the job site also handled full-depth pavement, pavement planning and resurfacing, roadside grading, guardrail, sewer system and traffic control. 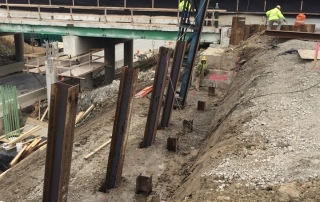 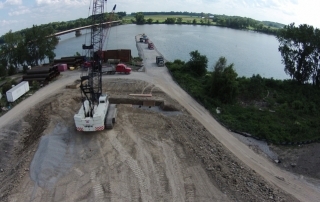 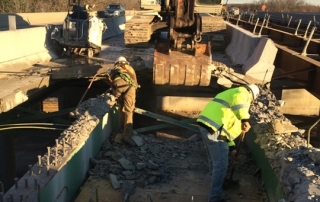 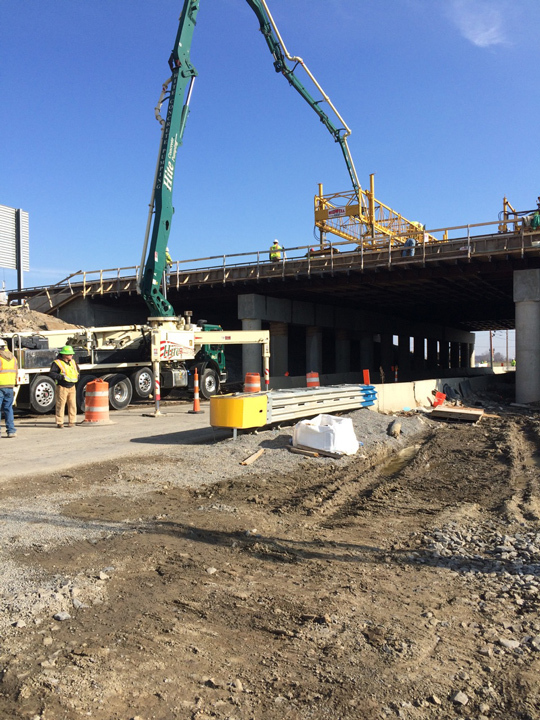 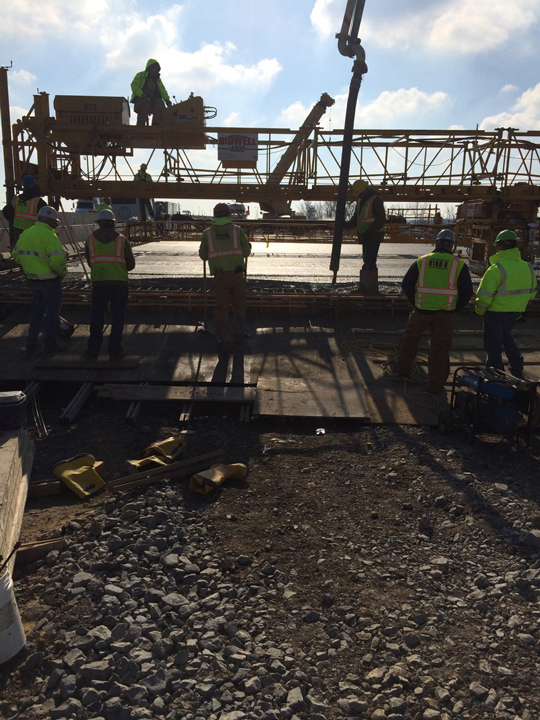 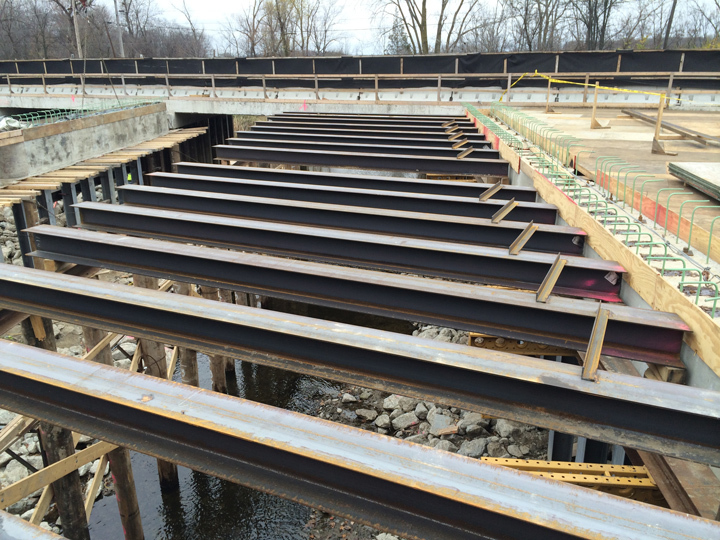 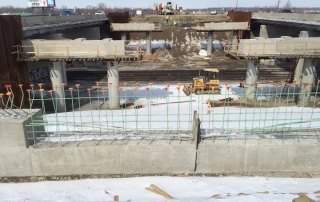 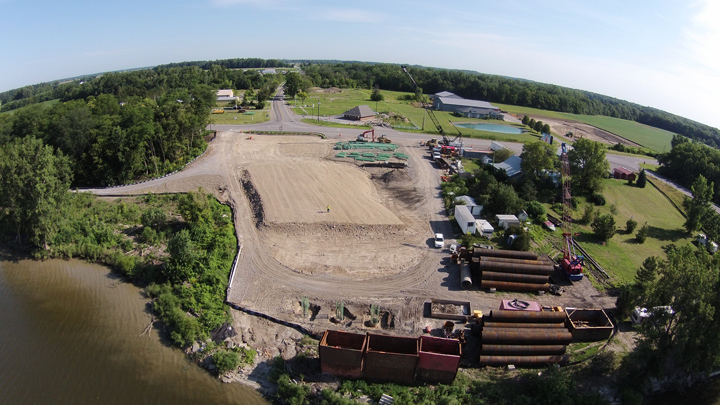 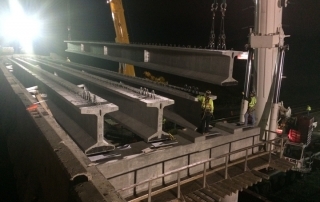 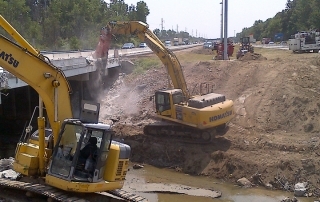 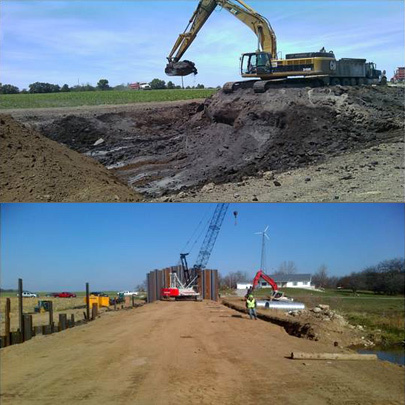 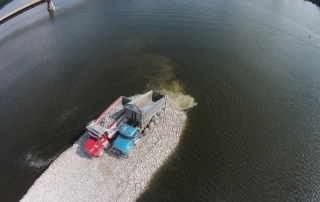 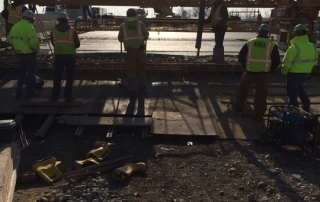 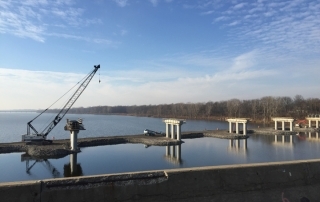 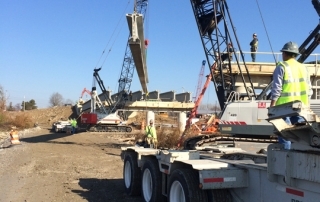 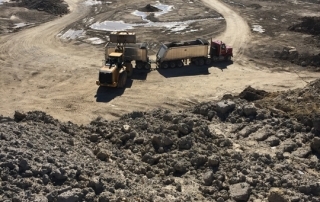 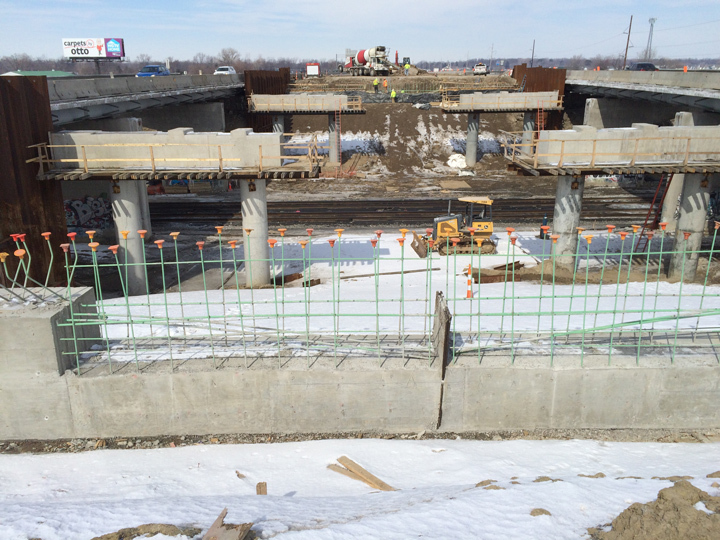 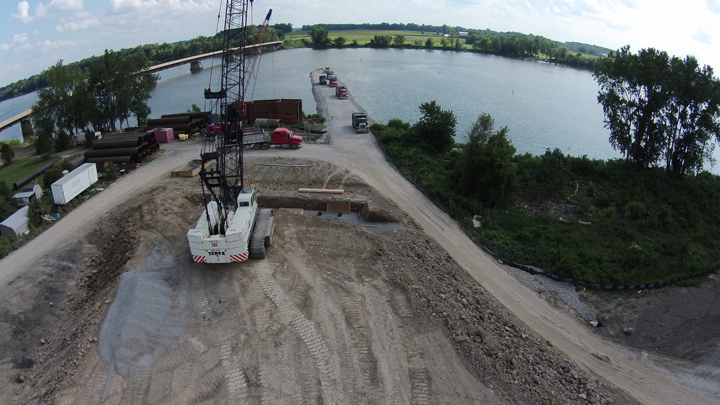 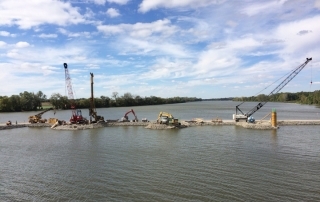 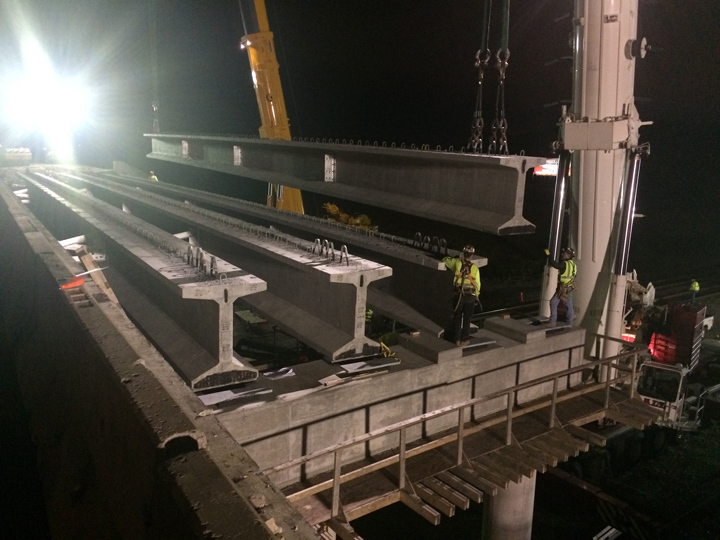 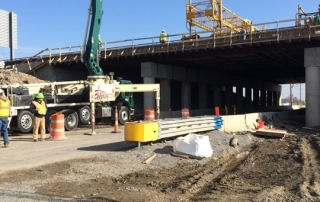 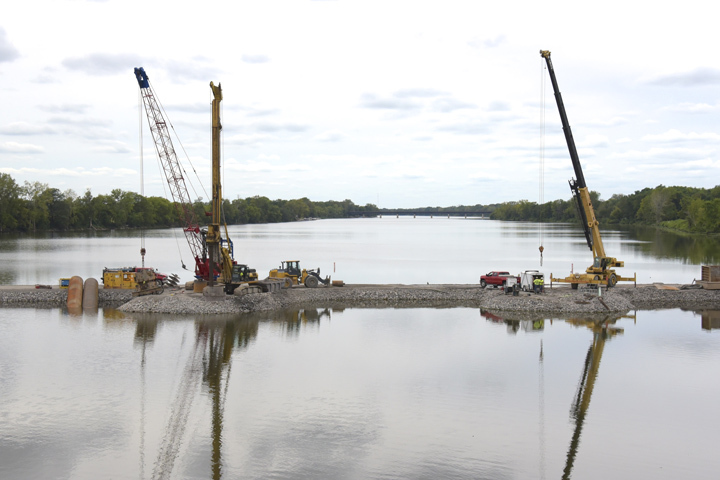 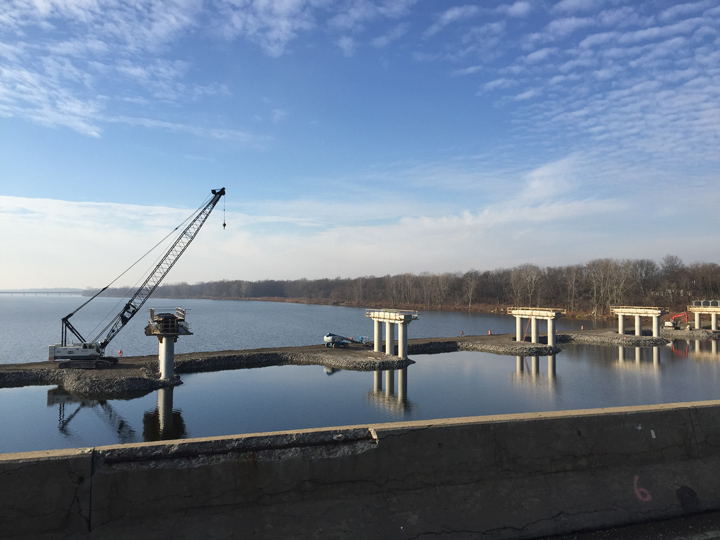 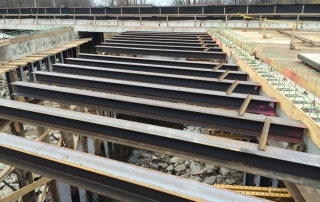 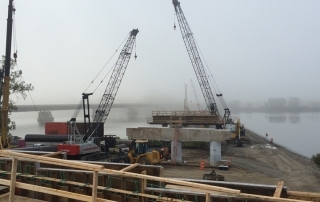 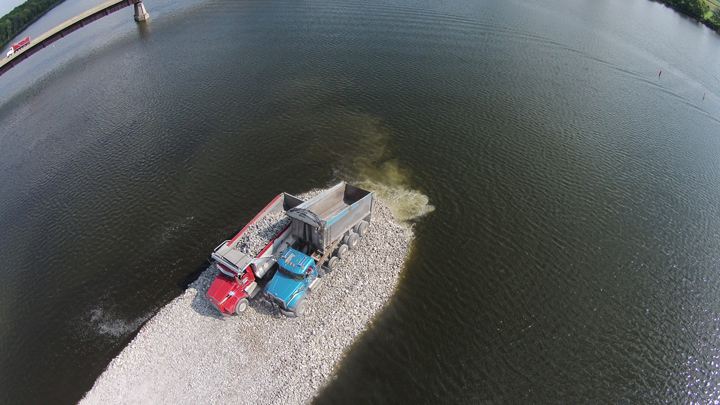 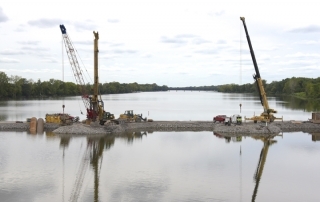 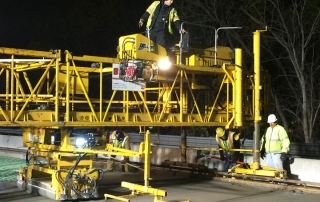 In order to access the bridge substructure units, we took the innovative approach of constructing an aggregate causeway in the Maumee River, using approximately 40,000 tons of sized aggregate. 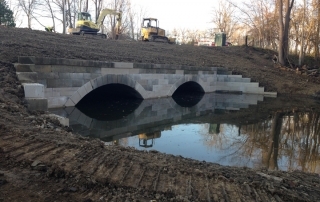 Portions of the existing structure were removed, and existing stone blocks on the arch barrels, arch rings, headwalls and wingwalls were reconstructed or repaired. 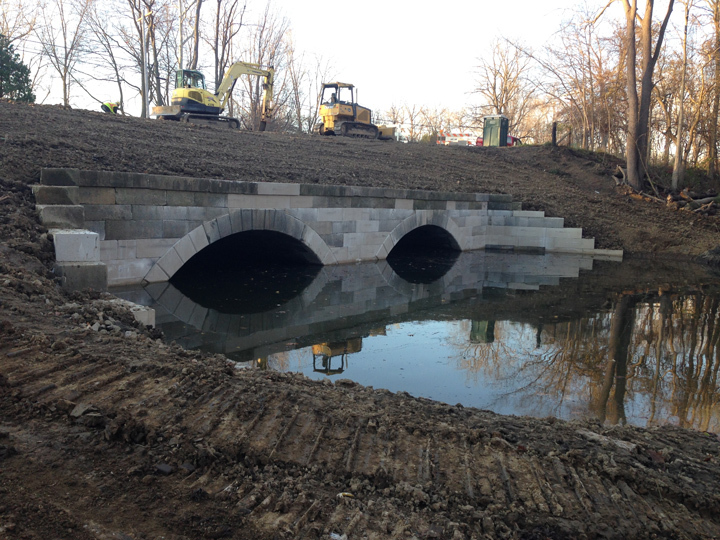 To alleviate pressure on the stone walls, our team used mechanically-stabilized earth walls in the backfill areas.